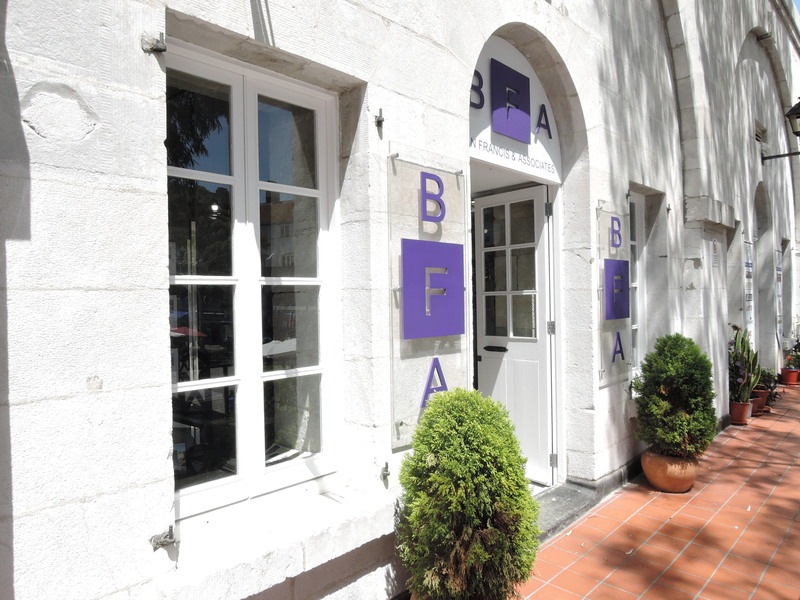 Having been succesfully in the Property Market since 1986 our office premises requirements are always expanding and since having moved the Estate Agency to one of our premises at Casemates Square we have recently had another refreshing reburbishment of our Agency. With modern framed stainless steel glass partitions and high tech fitout we have also kept very much in mind the beauty of the arched stone walls which are steeped in history. It is the second half of the fourteenth century. The Battle of the Strait is unfolding. Spurred by the capture of Gibraltar by the Spaniards in 1309, a new Muslim dynasty that has taken over the whole of the Maghreb crosses the Strait and recaptures the Rock. These Merinids control a large territory, northwards to Ronda. To the east Granada is under the control of the Nasrids, to the north-west Christian forces are pushing towards the Straits. These forces are vying for control of the Straits among themselves and with two powerful navies, those of Aragon and Genova. With the fall of Algeciras to the Christians, Gibraltar becomes the main port of the Merinids. Determined not to let Gibraltar fall once again, the Merinid Emir Adu’l Hassan strengthens Gibraltar. Hassan fortifies the Castle and encircles the town with strong walls. To reduce the threat of attack on his fleet, sheltered in the shallows close to where Casemates is now situated, he builds a Dar-al-Sinaha, a galley house from which the terms arsenal, darsena and atarazana are derived. In the safety of the galley house, encircled by sea walls and under the mighty protection of the Castle, Hassan’s fleet strengthened and waged war on the rival navies. For centuries after this Casemates has always been associated with military activity. The Spaniards eventually recovered Gibraltar in 1462 but as shipping evolved, Casemates could no longer house the large galleons. The attack of the Dutch fleet in 1607 in the famous Battle of Gibraltar exposed the Spanish frailties. Casemates had by then been turned into a residential district known as La Barcina. Here people lived in single storey houses with flat roofs in the Berber style. They kept cattle and donkeys within confines of the walls and they harvested the marine resources of the shallow bay, particularly the large oysters which were part of the staple diet. La Barcina could not protect the Spanish Galleons and the Spaniards suffered a heavy defeat, prompting the restructuring of the fortifications by Luis Bravo and the move of the harbour facilities towards the new mole in the south. Casemates thus continued until 1704 when George Rooke captured Gibraltar. The immediate aim of the British was the strengthening of the Rock’s fortifications. The north of Gibraltar was particularly significant because of its proximity to the Spanish lines. The large galley house, with its thick 2.5 metre walls was an ideal building in which to store ammunition. It became the Shot House and stood the onslaught of the thirteenth siege in 1727 at a time when most of the houses of La Barcina were destroyed. The area was so devastated that most of it was levelled in 1713, leaving the shot house which survived until it was severely damaged and pulled down after the Great Siege. Casemates was to continue to be a military place. At the beginning of the nineteenth century the barracks were built on the north of the square and the square itself became the training and parade ground for the troops. It continued to be used in this manner into the twentieth century and the square was also used for public hangings. Finally, today the development of the Casemates Square is a celebration of peace. It is now a place where people of different beliefs and ethnic backgrounds meet in the spirit of conviviality that is so characteristic of Gibraltar. As we enjoy this new phase of the square we should spare a thought for those who fought and died here, for those who lived, farmed and fished here… In the end, the structures that remain remind us of this past. It is heritage. Not bricks and mortar but rather the story they tell. They go towards giving substances to our very identity, the identity we are so proud of. In developing the square in a sustainable manner we are ensuring its continued existence. That is the message of “new” heritage and Casemates reflects on a small scale the unique cultural landscape that is this Rock of ours.